Marvel has announced that actor Finn Jones has been cast as Danny Rand aka Iron Fist. Marvel has said there will be an Iron Fist Netflix series that will unite with the other heroes on Netflix to focus on a super team of street heroes called the Defenders. To those who have followed this at all, know that many names have been thrown out to play Iron Fist. These names have included Ryan Phillipe, and even Zac Efron. 6 months ago a rumor emerged that Marvel may be scuttling Iron Fist in favor of a Punisher series. All these twists and turns but now finally Marvel fans have their Kung Fu hero. Finn Jones is a British actor who is best known for his portrayal of Ser Loras Tyrell the knight of flowers on Game of Thrones. Loras is known as being a brave knight who is the heart throb of Sansa. However, it turns out that Tyrell is more into boys then the girls. Finn Jones has also been in Sleeping Beauty, Wrong Turn 5 and the Sarah Jane adventures. 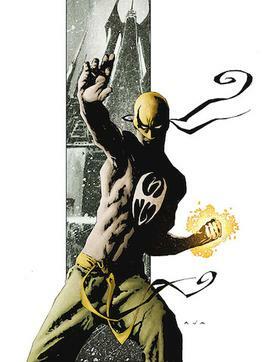 The way that the Netflix shows have been churning out high quality and unique hero tales may mean that he will soon be known more for Iron Fist than anything else.